Regardless of how long you’ve been in business, building and maintaining good business credit is a critical part of accessing borrowed capital to fuel business growth and fund other business needs. Your business credit profile includes detailed information about your business credit accounts—including utilities, credit cards, banks, suppliers, and other creditors, along with other information about your business. The three major business credit reporting bureaus, Dunn & Bradstreet, Equifax, and Experian all use different scores and focus on slightly different aspects of your business credit profile. While all three bureaus look at business-to-business data, bank data, and information pulled from the public record, they specialize in different parts of your credit profile. After years of monitoring business credit (since 1941), Dunn & Bradstreet’s credit score is primarily based upon how a business interacts with its vendors (trade data). They look at how delinquent a business might be when paying their vendors and apply a 100-point score they call the PAYDEX® score to demonstrate how timely a business pays their bills and to help predict how likely they will in the future. Equifax is the platform that transforms data collected by the Small Business Finance Exchange (SBFE) into a business credit report. The SBFE is where most banks report loan data, so the Equifax report is primarily a reflection of how a small business owner makes credit card payments, or repays a small business loan or a line of credit. The Experian business credit report uses a 100-point score like D&B, but their focus is not on trade data. They also collect bank data and information available in the public record to create the Experian credit reports many lenders use to evaluate business credit risk and a business’ detailed financial payment trends. 1. Make sure your profile is accurate: It’s not uncommon for business owners to find errors in their profile. Fortunately, the business credit reporting bureaus (the three biggest are Dunn & Bradstreet, Equifax, and Experian) are motivated to make sure their data is accurate. Since they sell access to their information to lenders, inaccurate or out-of-date information isn’t very valuable—all three have processes in place to resolve legitimate disputes and correct verifiable errors. What’s more, sometimes even minor errors in your profile can make it more difficult for your business to qualify for a loan. 2. Keep your personal and business credit separate: This can sometimes be a challenge for business owners—particularly during the early years when business credit is harder to come by. Nevertheless, finding ways to establish business credit and avoiding the use of your personal credit is a good practice. For example, instead of using your personal credit cards, apply for a business card. The higher balances that often accompany business expenses can actually hurt your personal credit score because 30 percent of that score is a reflection of how much credit you have compared to how much credit you use. This is true even if you pay the balance down to zero at the end of every payment cycle. What’s more, using your personal credit card does nothing to build a stronger business credit profile, which will make it harder to access a business loan down the road. 3. Establish trade accounts with your suppliers: This is one of the best things you can do early in your business to build a strong credit foundation. In a recent conversation with Experian’s Peter Bolin, he mentioned the importance of building these relationships for new businesses. When talking about a recent Experian study looking at credit use among startups, he suggested “…the average small business owner [of those studied] is creating 1-1/2 trade credit relationships each year and using smaller loans to build their credit profiles over the first few years. Ultimately indicating to us that many of these businesses are great borrowers.” This credit is relatively easy to get and a great way to build a strong business credit foundation. For example, Home Depot and Staples both offer credit accounts for small businesses and sell products most businesses regularly use. They also report your credit history to the bureaus, so can be a valuable tool to building good credit. 4. 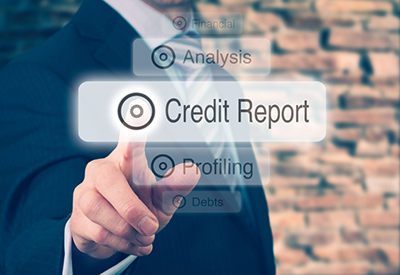 Make sure your suppliers report your good credit behavior: If your suppliers don’t report your good history to the bureaus, you may be building a good credit reputation with that particular vendor, but you’re not doing anything to build a good credit profile. This is important enough that you should ask every vendor you work with and seek out those that do. 5. Use the credit you need and stay current: The single biggest thing you can do to positively impact your business credit profile is to make regular and timely payments on your business credit accounts. Avoiding the use of credit entirely isn’t a good long-term strategy because building a strong profile is about demonstrating that you know how to effectively leverage credit when you need it and that you will make the periodic payments on time when you borrow. Like your personal credit score, your business credit score is a precious asset, which over time will help you access the capital you need to fuel growth and fund working capital. The first step is to know your score; the second is to implement the business practices that will help you build a great business credit profile. What Do You Know About Business Credit?